Current selected tag: 'galexy a7'. Clear. 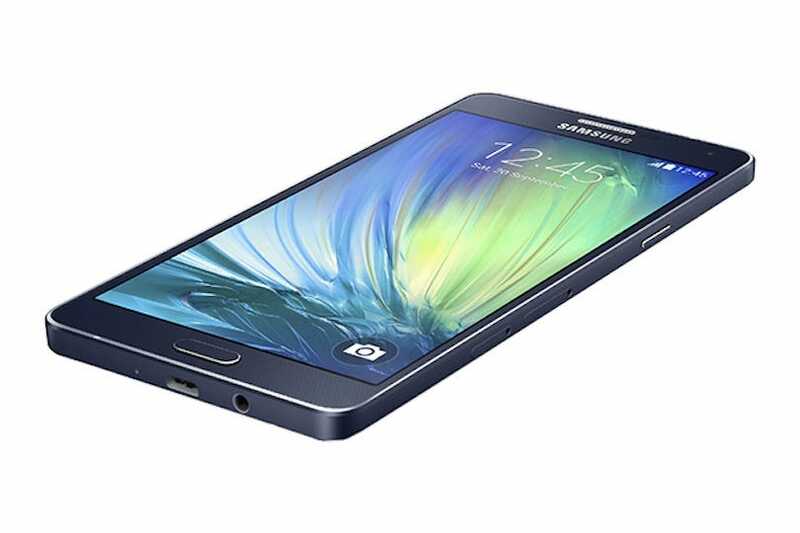 Samsung just unveiled its newest smartphone, the Galaxy A7, which is its thinnest phone to date. The 6.3mm Galaxy A7 is also thinner than the iPhone 6, which measures 6.9mm, and the device comes with metal edges just like the other phones Samsung has announced in recent months. As a point of comparison, Samsung's flagship Galaxy S5 measures about 8.1mm, which is almost two full millimeters thicker than the new A7. The Galaxy A7 is a higher-end version of the Galaxy A3 and Galaxy A5 phones Samsung announced in October. The A7 has a larger 5.5-inch screen, making it about the same size as the Galaxy Note 2 and iPhone 6 Plus. It comes with a 13-megapixel camera and a 5-megapixel front camera like the Galaxy A5, too. It'll be available in black, white, and gold when it launches, but Samsung hasn't specified exactly when it will be released. There's also no word on how much it will cost, although the company says it will be "competitive." We've been hearing rumors about the Galaxy A7 for months, but Samsung hasn't confirmed any information about the device until now. It's the fourth phone in Samsung's line of A-series smartphones with chamfered metal edges similar to those of the iPhone 5 and 5s. Samsung first introduced this design element with its Galaxy Alpha in August, but a report from the Korean news source ET News suggests it may discontinue that device in favor of its new Galaxy A3, A5, and A7 phones. There's a chance the A7 will be released in select markets at first, such as China or South Korea, but we won't know for sure until Samsung makes more announcements about availability. This mobile phone is a great example of how much power we can fit into such little space. At just 6.3mm thick, the Samsung A7 is the slimmest phone ever. In five to ten years, how little will our tech be able to be?